The Iraqi foreign ministry said in a statement early on Saturday that the Turkish troops were acting in violation of the country’s sovereignty and demanded the forces withdraw immediately. “Around one regiment armoured with tanks and artillery” has entered the northern Nineveh area, according to the statement from the Iraqi Prime Minister’s media office. 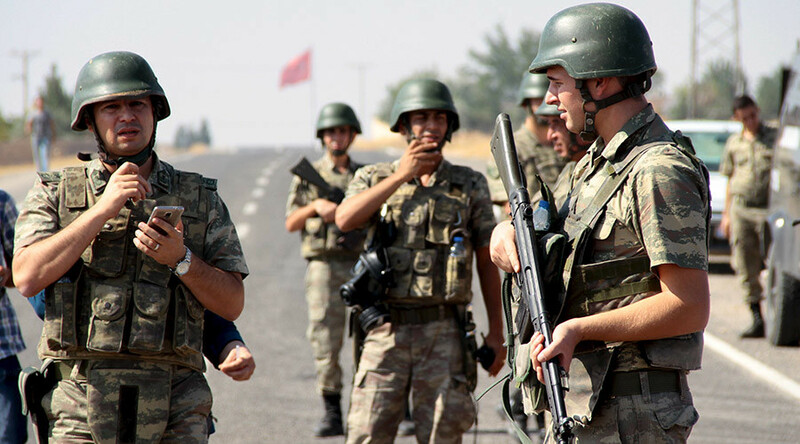 The foreign ministry called Turkey’s move “an incursion,” Reuters reported. According to the agency’s source, the US-led anti-Islamic State coalition was aware of the Turkey's move. “Turkish soldiers have reached the Mosul Bashiqa region. They are there as part of routine training exercises. One battalion has crossed into the region,” the source told Reuters without revealing the exact number of troops. However, according to two US defense officials quoted by Reuters, Turkey’s deployment is not part of the efforts of the US-led coalition battling Islamic State (IS, formerly ISIS/ISIL). On Friday, 130 Turkish soldiers equipped with heavy weapons were deployed at a military base on the outskirts of the city of Mosul, which is currently held by IS, according to the Daily Sabah newspaper. According to Cumhuriyet newspaper, the number of the deployed Turkish troops amounts to at least 150. 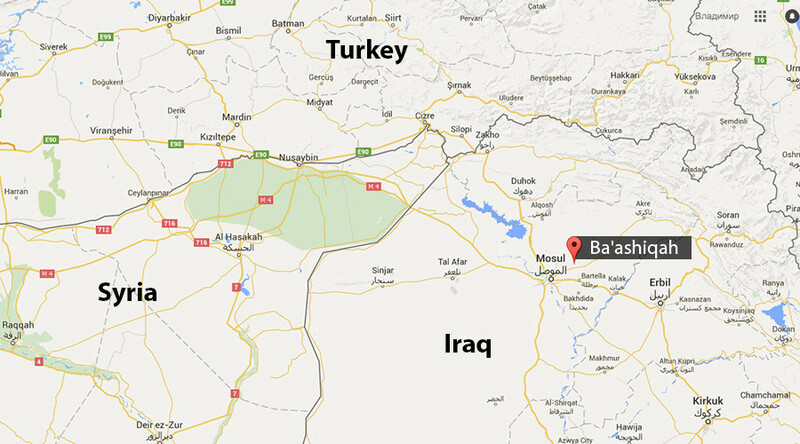 The town of Bashiqa is located about 10 kilometers northeast of Mosul. Mosul, Iraq’s second biggest city, was seized by Islamic State in June 2014 and has been fully governed by militants ever since. Moreover, the extremist group captured large stockpiles of weapons and ammunition that were stored in the city. “In the collapse of Mosul, we lost a lot of weapons,” Prime Minister Haider al-Abadi said in an interview with Iraqiya state TV in June. “We lost 2,300 Humvees in Mosul alone,” he added. The Turkish intrusion into Iraq comes shortly after Ankara’s motives in the war on Islamic State have been questioned by Moscow, Tehran, as well as by Baghdad. The Russian government has been particularly vocal in pointing the finger at the illegal oil trade between IS terrorists and the Turks. Moscow-Ankara relations deteriorated after a Turkish F-16 jet downed a Russian Su-24 bomber on the Syrian-Turkish border for an alleged airspace violation on November 24, while the Russian jet was returning from an anti-terrorist mission. 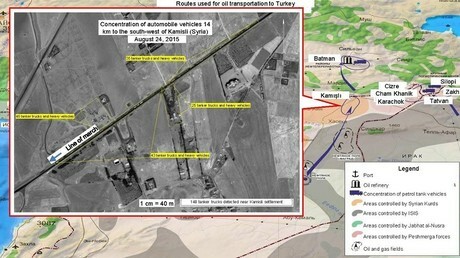 In the days after, the Russian Defense Ministry presented detailed photo and video evidence showing three huge “live pipelines” made of oil trucks effortlessly crossing the Syrian border into Turkey in militant-controlled areas. Russian President Vladimir Putin described Turkey’s move as “a stab in the back by accomplices of the terrorists,” while the Defense Ministry directly tied the illegal Syrian and Iraqi oil trade – a chief lifeline for IS terrorists – to the family of Turkish President Recep Tayyip Erdogan. Erdogan has dismissed the accusations as “slander” and continued to defiantly present the downing of a non-hostile jet as a rightful move aimed at defending the Turkish border. The surviving Russian pilot has insisted the crew was in full control of the course of the flight and had never entered Turkey, while adding they had never received any visual or radio warning from the F-16. One Russian pilot, the commander of the jet, was killed by Turkmen rebel fire while parachuting from the plane, and one Russian Marine was killed during the search and recovery operation. Meanwhile, as the US has stepped in for Turkey, supporting its refutation of Russia’s IS oil claims, other powers have come forward to back Moscow’s charges concerning Ankara’s trade with the terrorists. On Friday, Tehran said that it has collected photo and video evidence of IS oil entering Turkey by truck. “If the government of Turkey is not informed of Daesh [derogatory term for IS] oil trade in the country, we are ready to put the information at its disposal,” Iran’s official Islamic Republic News Agency (IRNA) quoted Expediency Council Secretary, Mohsen Rezaie, as saying. The official added that they are also ready to present the proof to the public. Other Iraqi officials have openly accused Turkey of knowingly trading with the terrorists. There is “no shadow of a doubt” that Ankara knows about the oil smuggling operations, Iraqi MP and former national security adviser Mowaffak al Rubaie told RT. “The merchants, the businessmen [are buying oil] in the black market in Turkey under the noses – under the auspices if you like – of the Turkish intelligence agency and the Turkish security apparatus… There are security officers who are sympathizing with ISIS in Turkey. They are allowing them to go from Istanbul to the borders and infiltrate ... Syria and Iraq,” he said.